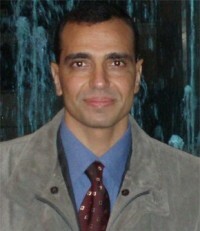 Mohamed Hamada is a senior associate professor at the university of Aizu, Aizuwakamatsu, Fukushima, Japan. He got his PhD from the University of Tsukuba, Japan under the scholarship from the Japanese Government (MEXT). He got a JICA (Japan International Cooperation Agency) fellowship for 6 months. His research interest is in artificial intelligence and learning technologies. He also interested in smart devices (such as smartphones and tablets) applications development and innovation. He edited three books and has more than 100 papers in major international journals and conferences published by major publishers such as IEEE, ACM, Elseiver, Springer, etc. He leaded several funded research projects and supervised several graduate (MSc and PhD) and undergraduate students. He is a regular visiting professor at Fatih university, Istanbul, Turkey and the African University of Science and Technology, Abuja, Nigeria. He is a member of the editorial board of several international journals and program committee member of several international conferences. He is a member in both the IEEE Technical Committee on Multimedia, and IEEE Technical Committee on Learning Technologies. He is a senior member of both IEEE and ACM computer societies.